Director and Consultant Clinical Scientist in Medical Mycology, Mycology Reference Centre - European Confederation of Medical Mycology Centre of Excellence (Diamond Status), Manchester University NHS Foundation Trust at Wythenshawe Hospital and Honorary Professor in Medical Mycology, University of Manchester, UK. Malcolm Richardson is the Director of the Mycology Reference Centre, Manchester University NHS Foundation Trust at Wythenshawe Hospital and an honorary Professor of Medical Mycology at the University of Manchester. In 2017 the Mycology Reference Centre became the first European Confederation of Medical Mycology Centre of Excellence (Diamond Status). 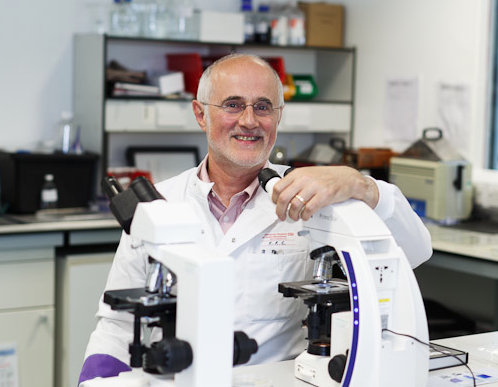 Malcolm Richardson is an elected Fellow of the Royal College of Pathologists and the Royal Society of Biology. His clinical and laboratory investigations have focused on the pathogenicity, diagnosis and epidemiology of superficial and systemic fungal infections. More recently he has applied his diagnostic experience to investigating the mycobiome of indoor environments using next generation sequencing. He has published over 400 original articles, book chapters and reviews and is the author or editor of fifteen mycological textbooks and handbooks, including Fungal Infection in the Compromised Patient (1982, 1991), Medical Mycology - A Practical Approach (1989), Fungal Infection: Diagnosis and Management (1993, 1997, 2003, 2012), Therapeutic Guidelines in Systemic Fungal Infection (1998, 2001, 2003, 2007), The Pocket Guide to Fungal infection (2000, 2006), Fast Facts: Superficial Fungal Infections (2000) and Fungal Infection and Critical Care Medicine (2008). His h-index is 60. Malcolm Richardson is a frequent speaker and session chair at major international conferences in the fields of clinical microbiology, infectious diseases, and medical mycology. From 2008 to 2014 Malcolm Richardson was the Editor-in-Chief of Critical Reviews in Microbiology. Current editorial activities include being Reviews Editor for Medical Mycology. Malcolm Richardson was President of the International Society of Human and Animal Mycology (ISHAM), 2015 - 2018 and currently is the President of the Institute of Specialist Surveyors and Engineers (2013 - ). He is a senior advisor for the Global Action Fund for Fungal Infections (GAFFI) whose vision is to reduce illness and deaths associated with fungal disease worldwide. The Royal College of Pathologists and the Institute of Biology. Institute of Specialist Surveyors and Engineers. The Interaction of Aspergillus fumigatus with the Respiratory Epithelium.